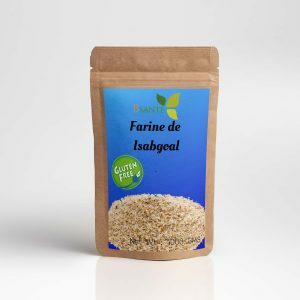 Use as flour: to make bread, biscuits, muffins cakes, salted donuts (falafel) or sweet, mashed chickpeas (humus) and above all it is the best gluten-free flour for pizzas! Chickpea is native to the eastern Mediterranean (Turkey, Armenia, Syria) but is abundant in India (India being the world’s leading producer). 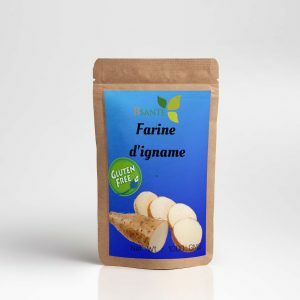 It is rich in vegetable protein and starch (complex carbohydrate), vitamins and minerals. 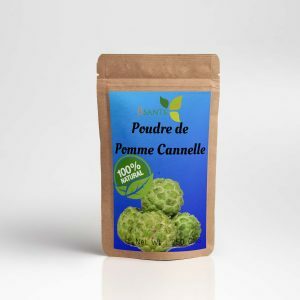 It is also low in fat and cholesterol free, making it a great alternative to meat. It is one of the most nutritious legumes. 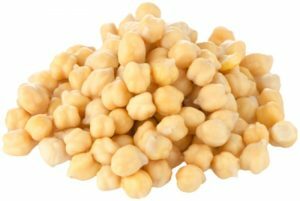 Chickpea is also a source of vitamin B9 (cell renewal, very interesting for pregnant women for the development of the fetus, and for growing children, as well as for convalescent people); source of fiber (regulation of intestinal transit, satiety). It also contains magnesium, iron, phosphorus, manganese and copper. In a small bowl, prepare the baker’s yeast by adding 5cl of warm water and let stand for 5 minutes this small preparation. If you use Psyllium powder, put in a small bowl separately, the psyllium with a little water and let it swell for 5 minutes. In the bowl or in the bowl of the food processor, mix the chickpea flour, the salt, the bicarbonate, the Xanthan powder. Then gradually add the baker’s yeast and the psyllium which have been previously soaked and add 30 cl of water while continuing to mix the contents. Work in the bowl or the bowl of the robot the dough to obtain a homogeneous paste then slowly pour the 10 cl of water remaining. The dough must be elastic. Give it a ball appearance and recover this paste with a clean towel, let it swell at room temperature without drafts for 2 hours. The dough must double in volume. After this break, make rolls with your hands by turning them on themselves before placing them on the baking sheet. Using a knife, make small cuts slightly on the top of the rolls and let rest for 1 hour in a warm place or in the oven where you will have a bowl of hot water so that the dough continues to rise. Apply olive oil or rice on top of buns and bake for 25 minutes. 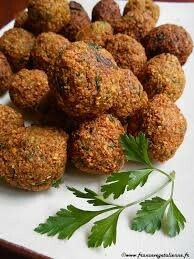 Put the chickpea flour in the bowl of the food processor or in the bowl, add the egg and the finely chopped or mixed onions, the finely chopped or mixed garlic and parsley as well as the powdered cumin, salt and pepper, mix well or mix everything in the bowl of the robot. If the dough is too liquid or sticky, add a little chickpea flour to obtain a homogeneous paste, not too liquid or too dry. With this paste, make small balls by hand to the size of a small ball. Flatten small balls to make small flat slabs.